The primary goal of our Central European asset management team is to build long term, mutually beneficial relationships with our tenant customers. This enables Cromwell to understand our tenants’ needs and flexibly meet their requirements. With approximately 35 assets in Central Europe, we are able to accommodate tenants in many different parts of Poland, Czech Republic and Romania. Rondo Shopping Centre is a 31,000 sq m shopping centre, comprising a hypermarket and 47-unit retail gallery, constructed over two levels, located in the city centre of Poland’s eighth largest city. 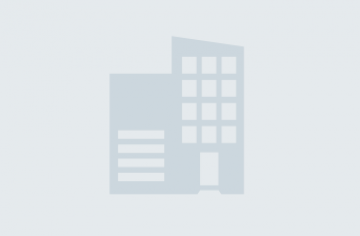 Its tenants include Real, GO Sport, Euro RTV, Reserved, Rossmann, Cubus, Sephora and McDonalds. The asset forms part of the Cromwell Polish Retail Fund which invests in shopping centres and hypermarket retail assets in Poland. In order to meet the requirements of today’s evolving retail environment and consumer needs in Poland, the Polish asset management team undertook a €3.8 million project to transform Rondo from a first generation shopping centre into a contemporary retail destination. This included a €1.2 million, 2,000 sq m extension on the parking lot to create space for additional retail units and a refurbishment of the interior and façade to improve its appearance and reposition the asset. The tenancy mix was also improved, by merging units and bringing in new anchor tenants, and the food court reconfigured to create a hub for social and business meetings. The result of the refurbishment and extension of Rondo, is the creation of a best-in-class shopping centre for the city of Bydgoszcz, which maximises the potential of the asset’s established retail location, with an increased fashion, restaurant and entertainment offering. Szczecin Ster Shopping Centre is a 34,000 sq m hypermarket and 62-unit retail gallery, constructed over a single level, located in a fast-growing residential area in Poland’s seventh largest city. Its tenants include Real, Euro RTV, Rossmann, Sephora, New Yorker, Smyk, Empik and CCC. As a first generation shopping centre, Szczecin Ster required modernisation and refurbishment to create a contemporary retail environment, better equipped to serve the growing needs of Szczecin’s consumers. The Polish asset management team had a clear objective to transform the asset into a new and enduring high quality retail experience, unparalleled by anything in the surrounding area. This included a refurbishment to the interior and façade, to improve its appearance and reposition the asset, and an improved tenancy mix by merging units and bringing in new anchor tenants. Szczecin Ster is now an entertainment hub, rather than just a traditional shopping centre, offering much more to its customers to meet their ever changing needs. Pohořelice Industrial Park is a complex of industrial and warehouse buildings comprising 44,444 sq m of space, located 25km south of Brno, the Czech Republic’s second largest city. The asset forms part of the Central European Industrial Fund (CEIF) which is a portfolio of multi-let industrial assets located across Central Europe. 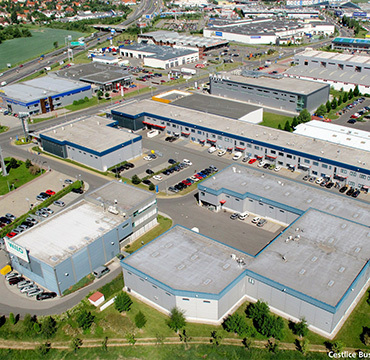 DHL Supply Chain is the largest tenant in the CEIF portfolio and the sole tenant of Pohořelice, occupying 100% of the space with a distribution warehouse. Since being appointed to manage the portfolio in 2007, the Czech asset management team has concluded three successful lease renewal negotiations with DHL, with the current lease term expiring in 2019. Through a strong relationship with DHL and a thorough understanding of their business requirements, our asset managers have been able to continue to secure DHL’s tenancy at Pohořelice with ongoing investment in the asset to make it suitable for their ongoing needs. This has included around €750k of enhancements such as new loading ramps, refurbishment of the office space, new windows, fire alarm system and reception area and ADR modifications to enable the storage of dangerous goods and highly flammable products. Ricany Trading Estate, which is also known as Sanitas Logistics Centre, is a 46,799 sq m asset comprising a main logistics building, a retail/office building and a smaller storage building, located in Ricany u Prahy, 29km south-east of Prague. Its tenants include FAST CR, the largest electronics wholesaler in Czech Republic, Biotika Bohemia and German pharmacy retailer, Rossmann. Constructed in the late 1970s, the asset required the office accommodation to be upgraded to A class space to suit modern day business requirements. Our local Czech asset management team undertook the development of a new two-storey 2,068 sq m of office building, which involved the demolition of an existing wooden building with an asbestos roof, to make space for the new build. The team agree a new five-year lease agreement with FAST CR and managed the design, planning and project management of the development.